One of the more painful weeks in Israel began with the horrific murder in the Har Nof synagogue of three people at morning prayer. It concluded with the response-song by Amir Benayoun. Benayoun is a talented and powerful singer – religious, Mizrachi, tortured and original. He is so respected that the new President of Israel invited him to perform at the President’s residence for an event commemorating Jews from Arab Lands. And I’ll stick a sharpened axe in it. It was clearly a cry of pain, with no small amount of deep confusion (the musical style of Benayoun’s singing is so Arab!). It was also an ugly piece of racism. Benayoun’s defence that the song was about one particular person and not all Arabs simply didn’t hold water. 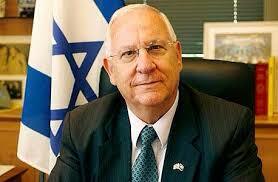 Israel’s President, right-wing Reuven Rivlin, did not hesitate. He immediately cancelled Benayoun’s participation in the festival at the President’s residence. And stated very clearly that it was because of the song. I light my final candle of hope for my new President, who is committed to bringing light into the darkness.